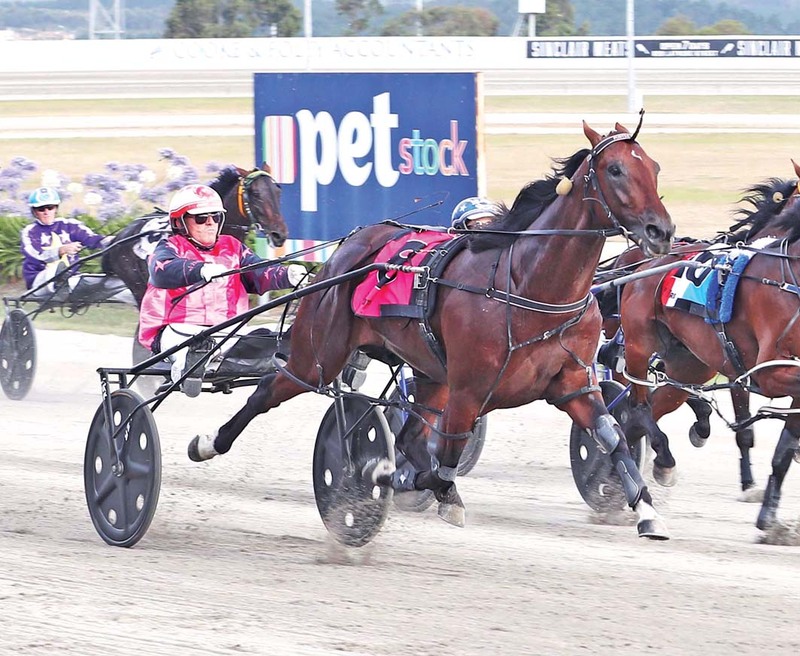 EXCITING pacer Poster Boy will be given the opportunity to join an elite fraternity at Tabcorp Park Menangle on Saturday night. Winner of his two starts this season – including Melton last weekend – the Emma Stewart-trained entire is engaged in the Chariots Of Fire. Victory in the Group One will see the son of Somebeachsomewhere become just the fourth campaigner to complete the New South Wales Derby/Chariots Of Fire double. Franco Hat Trick was the ground breaker in 1997 and ’98, followed by Holmes DG in ‘98 and ’99 and Elsu in 2003 and ’04. The two events have been run simultaneously since the Chariots Of Fire’s introduction to the racing calendar in 1995. Stewart is no stranger to glory in the feature, having won the 2014 edition with Guaranteed, which was driven by champion reinsman Gavin Lang. As for Poster Boy, which boasts an imposing record of 17 wins and six placings from 24 starts – he faces an arduous task after drawing wide in barrier eight. The four-year-old, which is the third favourite at $5.50 with TAB Fixed Odds, slots into gate seven once the emergency is taken out of the equation. “It is a terrible draw,” Stewart said. “But then again, it could turn out to be a good draw depending on how the race is run. Citing Chase Auckland and Ignatius as the pair to beat, Stewart believes the 1609-metre sprint is a “wide open affair”. “Chase Auckland from the pole and Ignatius even from a wide draw are the two to beat,” Stewart said. “Having said that, you can’t really write off any of them. Little Rascal seizes his first group win.